Posted by fuchskm on Friday, January 23, 2015 in Courses. Catalog Description: Meaning and origins of modern Jewish history from 1492. The diverse experiences of Jewish communities across the globe. 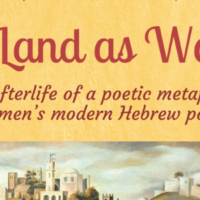 Men’s and women’s redefinition of Jewish identity as they confronted modernity. Rise of secular rights for Jews but also of new forms of persecution.